With the messaging domain, users can ask Siri to compose new messages or search for existing messages. For new messages, your extension handles the composition and sending of the user’s message through your service. Similarly, your extension handles searches directly and returns any results to SiriKit. 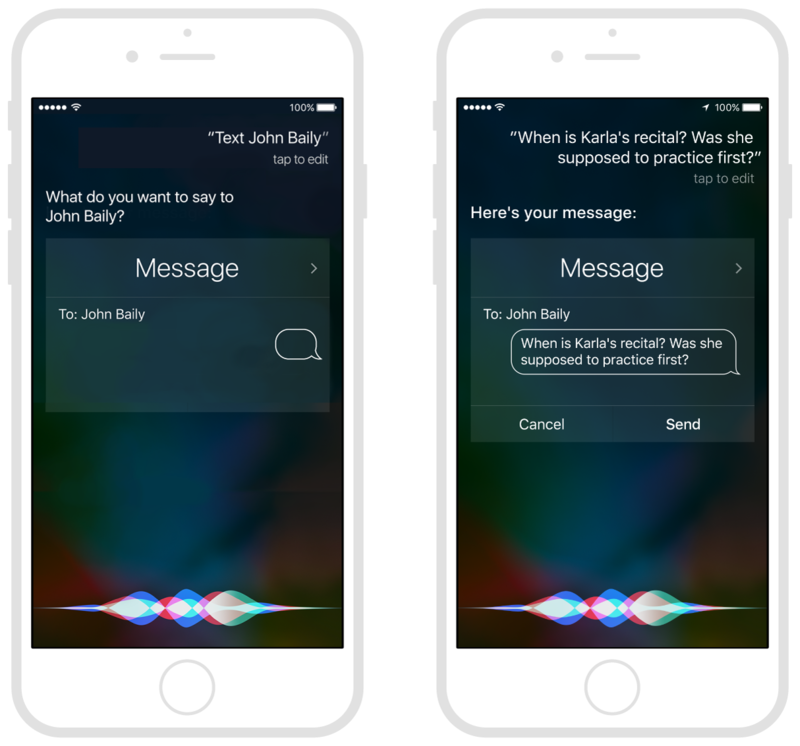 After a search, the user can ask Siri to read the returned messages and mark them as read, which may result in more calls to your intents extension to update the message attributes. On iOS, you can use an Intents UI app extension to display a custom message composition interface. An interface for adopting all of the protocols in the messages domain. The handler interface for searching the current user’s messages. A request to list the messages matching the specified criteria. Your app’s response to a search for messages intent. The handler interface for sending messages to one or more designated users. A request to send a message to the designated recipients. Your app’s response to a send message intent. The handler interface for modifying message attributes. A request to modify the attributes of a message. Your app’s response to a set message attribute intent. Information about a message managed by your app. Constants indicating an attribute of a message. Constants indicating the status of a message. A resolution result for assorted attributes of a message. A resolution result for the options applied to a message. A resolution result for the range of dates associated with an intent. A resolution result for the recipient of a message. A resolution result for a user associated with an intent.